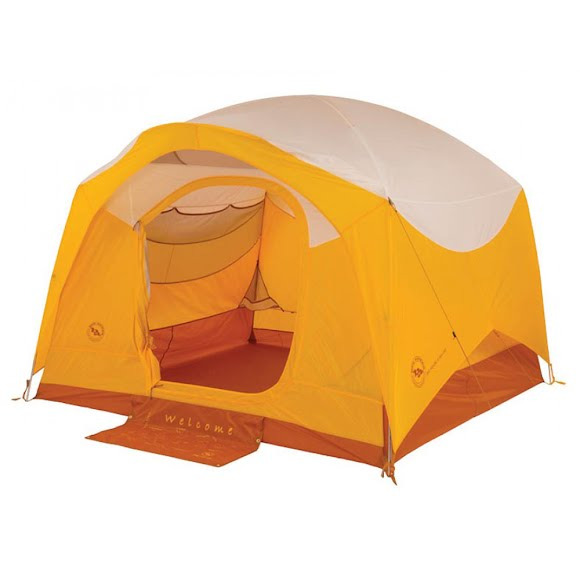 Why the Big House Deluxe from Big Agnes? The envy of campsites everywhere, you'll enjoy the supreme features of the Deluxe, like your own front door welcome mat, 12 large interior pockets for keeping your tent organized and your gear off the floor, and a briefcase style carry bag which is easy to tote around and pack. Steep walls and ample head height give the deluxe a living room feel. Why the Big House Deluxe from Big Agnes ? The envy of campsites everywhere, you&apos;ll enjoy the supreme features of the Deluxe, like your own front door welcome mat, 12 large interior pockets for keeping your tent organized and your gear off the floor, and a briefcase style carry bag which is easy to tote around and pack. Steep walls and ample head height give the deluxe a living room feel. Stuffed Size 8" x 12.5" x 24"